Spring, summer, fall, each have each beautiful, and the late autumn in Beijing is the most flavor, with golden sunset is the fall of ginkgo leaves, with the wind rustling.Ginkgo tree, is the existing seed plants in the world's oldest precious plants, thus known as a "living fossil" and "panda" plant kingdom.So when you pass by the tree, must slow down the pace of you in a hurry, stop to look at the sight of the beautiful. There are many such a beautiful picture in Beijing: the setting sun, ginkgo, scattered, and hurried on people formed elegantly beautiful, as long as you have a pair of good eyes to find beauty, you will find the picturesque scenery anytime and anywhere, quickly pick up your photo equipment in the hands of a memory of our time, the most beautiful autumn is here. 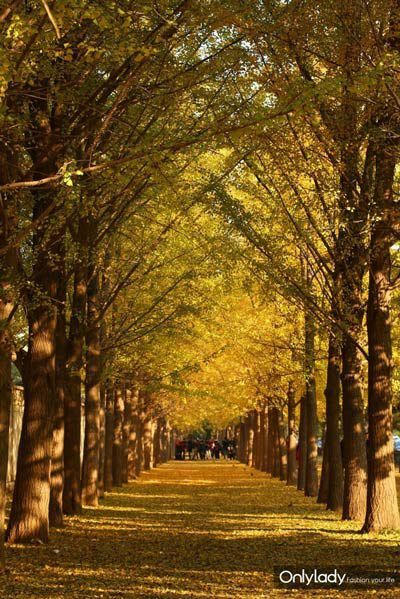 Whether urban or suburb is the ancient ginkgo, it is autumn in Beijing has added a beautiful scenery line.Ginkgo increasingly as trees and landscape, you must not miss. Side is the incessant vehicles, generally is quiet and peaceful ginkgo trees, this combination is harmonious.Eyeful golden ginkgo leaves DieLa together, go to rustle above, very comfortable. Jumped from Simon in Beijing ditan park, north park can see the let a person shock gingko boulevard.Ditan park road is Beijing's most ancient ginkgo ginkgo avenue, it is said that some of the ginkgo tree built ditan when planted. Beijing xishan badachu also has a number of ancient ginkgo trees, at the second light temple tower of tooth a Ming dynasty of the ancient ginkgo tree, the great mercy temple Ursa around two before yuan dynasty of the ancient ginkgo tree, there are six place incense industry temple on the west side of the gate, a Ming dynasty of the ancient ginkgo tree. Rooted in liao dynasty, one thousand - year - old, each new generation when the emperor in the qing dynasty the reign of succession the tree roots will grow a new dry, gradually with the dry one, was to visit the temple of the qianlong emperor royal seal as "imperial tree". 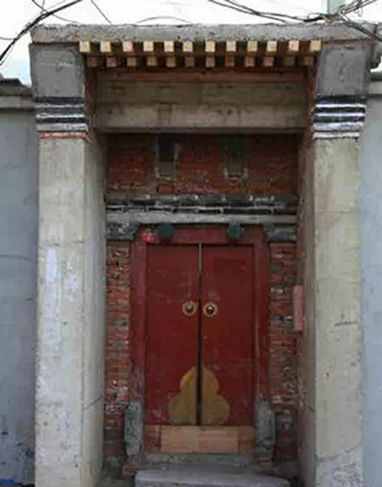 Huairou red screw in front of the temple Ursa ginkgo, over one thousand years old.The ginkgo tree is very strange, the female results not flowering, male plants flowering is not the result.Qing dynasty temple monks have did: "red screw temple two ginkgo, dioecious points. Male flower is not the result, the eastern female figs feng."